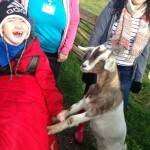 We have delivered one weekend break for children with autism and one weekend break for young carer siblings. The children with autism met fortnightly for 6 months before they went to camp for a social activity and did a variety of things including outdoor activities to familiarise them with things they would be doing at camp. The social outings gave a chance for the children to get to know each other and the staff to reduce anxiety and stress before going on camp. The siblings followed a similar structure but met on a monthly basis prior to camp. We have delivered high quality school holiday clubs to 61 young people with multiple support needs which they can attend independent of their parents/carers. 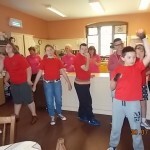 The young people have had the opportunity to undertake a wide range of activities including ice skating, fishing, martial arts, gaelic music, horse-riding, arts and crafts, etc. supported by a well trained highly motivated team of professional staff. Figures to date show that we have exceeded targets whilst keeping costs below budget. The project acted as administrators of small grants to children with disabilities (o-20yrs) and their carers. The applicants were able to choose between a personalised budget, help from the Carers Centre or a combination of both. From the 8th to the 26th of July we provided nine days (four and a half hours a day) of activities and outings over three weeks for 15 children with additional needs. 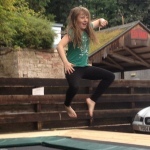 They enjoyed activities such as arts and crafts, swimming, the very popular play pod (scrap store), drama, sports day, outdoor games, cinema, roller skating and many more. We provided transport to four children to ensure their inclusion. As we work in partnership with the local authority we provided 6 play scheme attendants this year who had a week of training prior to the start. Both weekends took place at the Nethybridge Outdoor Centre, near Aviemore – part of the Abernethy Trust, providing a range of fun, rewarding outdoor activities, with support for children/young people and all of the family. In my experience children with learning disabilities and associated complex needs, eg epilepsy, do not normally have the opportunity to experience such a wide range of challenging and rewarding experiences – canoeing, climbing, archery, etc in our risk adverse society. Like most children if given the chance they will achieve and prosper. This has very much been our experience over 25 years. We have worked on 2 key themes over the Summer/October breaks: Environmentally Responsible and Health/Well Being. The project delivered free play, dance, drama and sports activities culminating in a sports event and leading to the delivery of our talent show Lion King which will be performed in December 2013. We delivered 245 hours of holiday clubs. We exceeded our planned attendance of 70 attendances each week and had an average attendance of 85 attendances each week (25 attendances per day). This resulted in an average 54 carers benefitting from short break from care exceeding our plan of 50 beneficiaries.